I hear ya. I was a bride on a budget too! (I managed to blow it, several times!). I’ve been pondering how I can help the brides who due to necessity or choice are having a wedding on a tight-ish budget – and are struggling. I can’t claim to be an expert in having a wedding under $5 grand, or even under $10 k. But I managed to have an amazing wedding with a full sit down meal and drinks for less than the average cost – so I guess I can claim that! Today you are getting to check out the actual facts and figures that I spent on my wedding day. We ended up spending $17,000 on our wedding. I’m going to tell you where my original wedding budget of $12,000 was unrealistic too. 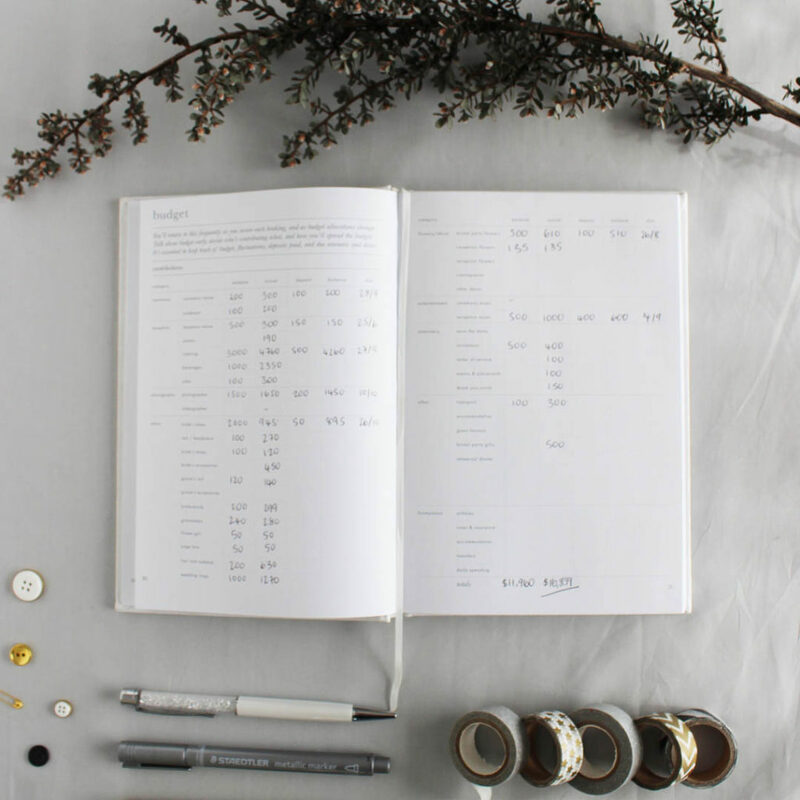 Check out the video below to watch me write out my wedding budget in the beautiful little white book, available here. 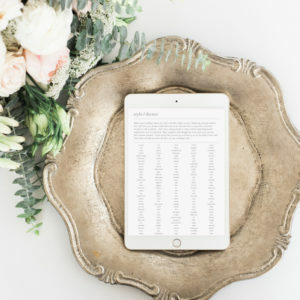 Over at She Said Yes, Megan is sharing her real life wedding budget of $55,000 – take a look at the amounts spent on a wedding at the other end of the budget scale here. Our ceremony, including celebrant, was $500. My wedding dress was bought at a sample sale and was half what I budgeted for – $945. So I splashed out on my veil which was $270! My bridesmaid dresses came to nearly $300 on the budget, but that is a bit misleading. That was for patterns, fabric and notions. I was lucky enough to have my Maid of Honour’s mum make her dress. My sister (my other bridesmaid) got hers made by a dressmaker. They also wore their own shoes. The boys hired their suits for a total of about $500. I only budgeted to spend $200 on hair and makeup, and I ended up spending $630. But I included cuts and colours in the couple of months prior in this total. 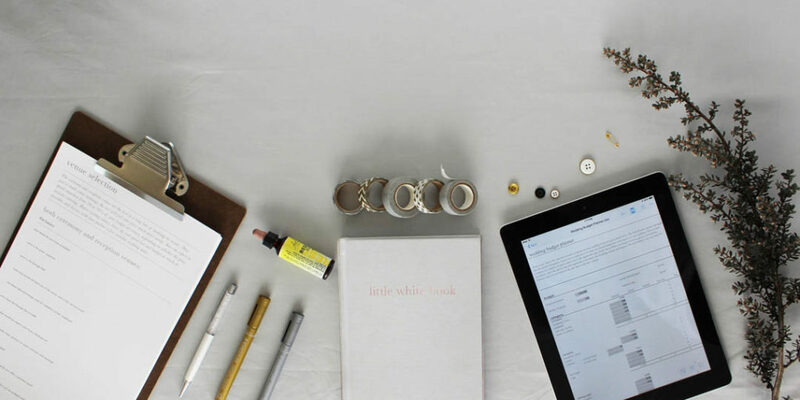 For wedding rings, we really had no idea what to spend. Craig is a toolmaker/engineer by trade, and made his own with titanium (clever boy). He spent $70 in materials (enough for a ton of rings… I said he should’ve made spares!). My ring was around $1,200, and I felt that was a good price, since I had to find a very specific shape to fit around my engagement ring. We spent around $600 on flowers. I DIY’ed our wedding reception centerpieces which kept the cost down. This is something I’d spend more money on if I did it again – they didn’t turn out like I wanted. One of our priorities was entertainment, and we had a specific singer in mind. He was available, and charged $1,000. Money well spent, guests danced all night and he was a true professional, able to read the crowd and play goooood music! My Maid of Honour designed my stationery as a gift, and so my costs of $750 were for printing, envelopes, postage and materials. Transportation was pretty affordable too, at $300 for the day. A couple of boxes of beers, petrol vouchers and a framed picture of the beautiful vintage Valiants for our drivers. We spent $500 on miscellaneous things like our marriage license, gifts for the bridal party, gifts for friends who helped set up, baking supplies for the wedding favours and family. I feel like we didn’t go too overboard in any one area (expect I don’t know why I spent so much on random accessories like hairclips – I’m sentimental so I felt like it had to be “special” I guess…). I have mentioned before that I regret not spending a little more by having more people along to the dinner and as I said above, I should’ve spent more and bought flowers for the centerpieces. When you get engaged, chances are you’ve never done this before, right? Even though I was working as an event coordinator at the time, I didn’t specialise in weddings and I certainly didn’t know how much things like flowers cost. So we put together a rough idea of what we expected to pay, and it came out at just shy of $12,000. The major things I under-budgeted for? Food and alcohol. No wonder – how often do you shout 83 of your closest mates a meal plus drinks? So of course we were going to get that wrong, until we had settled on a venue and a caterer who could give us an accurate quote. Another thing I under-budgeted for was flowers. I estimated $500 for everything (bouquets, buttonholes, centerpieces), and instead paid $610 for just bouquets and buttonholes. Again – it’s a knowledge issue – how often do you go into a florist and ask for a bouquet absolutely chocka with a particular type and colour of flowers, that have to be absolutely perfect, and presented in a particular way? You don’t. You go in, tell them what you have to spend – maybe say “she likes purple”… and then they make a bouquet using seasonal flowers. They also can use tulle and greenery and paper to magic up something that looks beautiful on the budget you give them. But chances are, you want your wedding day flowers to be arranged in such a way that requires more flowers (which means more money!) and more time than this. I thought I should share how we paid for our wedding, since some of you might be thinking “well, nice for some. We don’t have $17,000 tucked away!”. Neither did we. We were very lucky to go thirds, with both sets of parents contributing to the final cost. To pay for our portion of the wedding, I actually took on a second, part time job – so on the weekends I was driving a loader at the local garden centre. I also changed jobs about 9 months before the wedding day, so I used the accrued annual leave that I was paid out, to go towards the wedding! 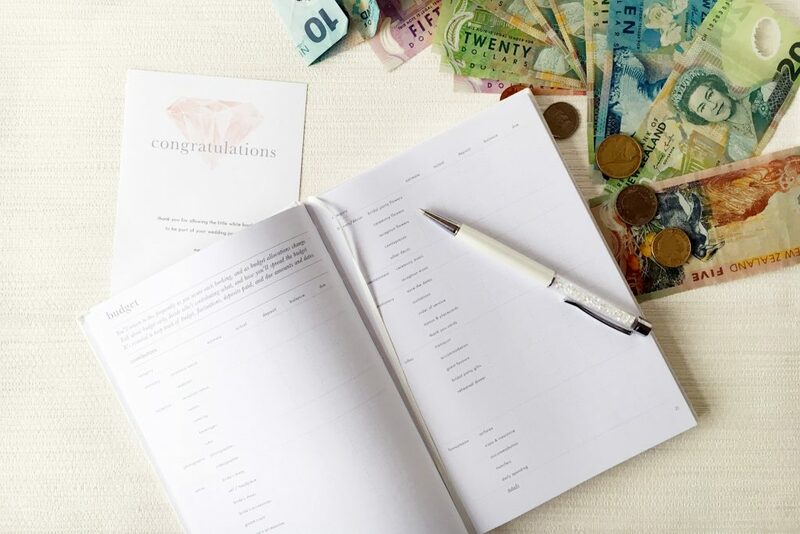 How do you use your wedding budget to prioritise? It’s essential to have a wedding budget. 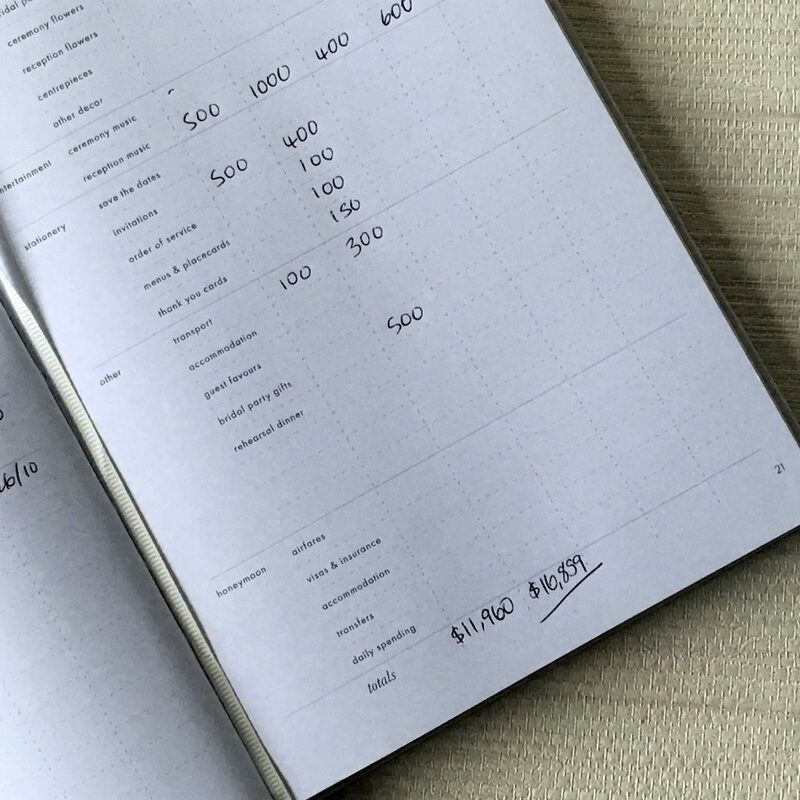 Even if you get it wrong (like I did) – it helps to plan out how much things might cost. Even looking at the figures I have down in the estimate column – I can’t believe that it somehow adds up to $11,960! Ignoring your wedding budget early on is going to cause stress later on – when you realise you literally cannot feed your guests and have to uninvite people you’ve already invited. 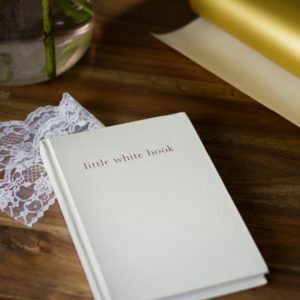 The little white book and the little white wedding planning pack have budget templates included in them. 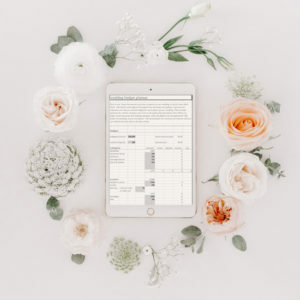 The excel template included in the little white wedding planning pack or available separately even has helpful built-in formulas that portion out your estimated budget, so you can see where you could be over spending. Anyway… I’ve gone on enough about what I spent on our wedding! 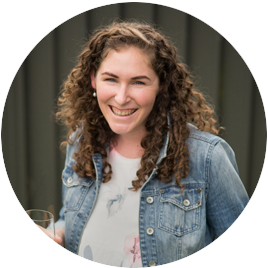 I highly recommend you check out Megan from She Said Yes’s post, where she shares her $55,000 wedding budget. 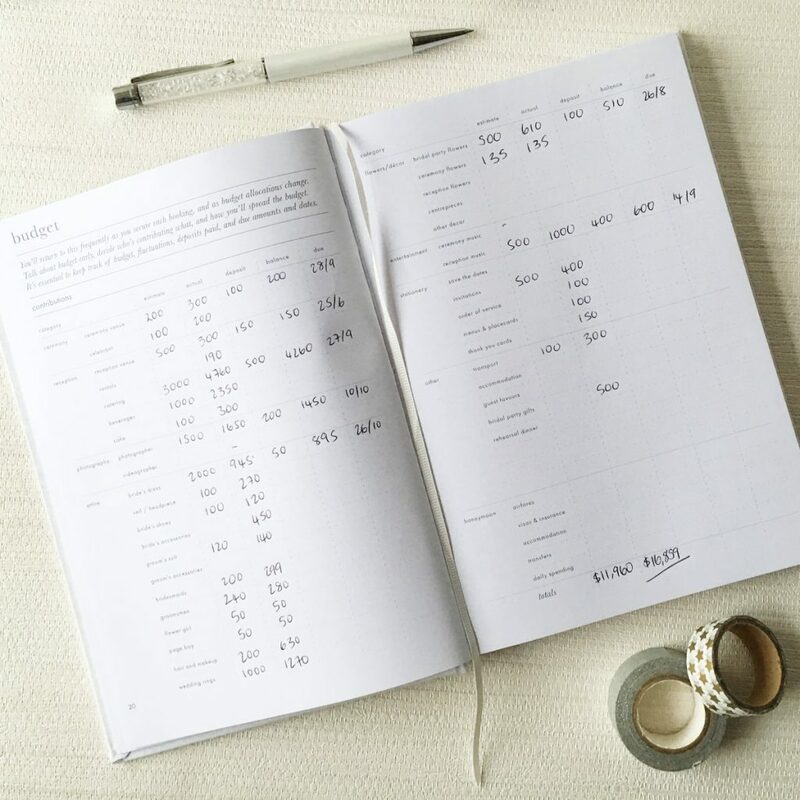 I think you’ll find it really interesting – especially comparing how we spent on different areas of our respective wedding days. 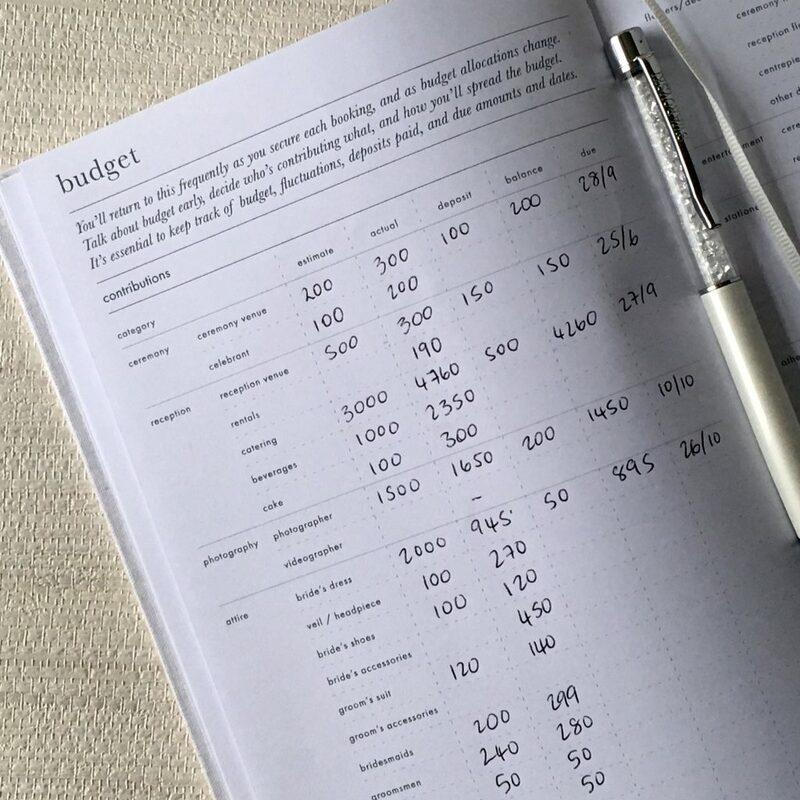 Megan has also used the little white book to jot down her wedding figures, so it should be relatively easy for you to contrast our wedding spends against each other. Absolutely Hannah! As long as saving money doesn’t get in the way of enjoying your day – I see this happen often too. What a great article! We had budgeted $20k on our farm wedding and ended up spending $17,500. A lot of things you covered I found to be the same too and we spent and saved in a lot of the same areas. Thanks for sharing! We had originally “hoped” to spend $26k on our wedding for 200 guests with sit down dinner and a 9-piece band. When we costed out our estimates, we came to $30k. Happy to say that (a fortnight out from the event) we appear to be on track! Some items blew out (the venue, alcohol) and some items I’ve pinched and scraped and clawed money back on (wedding dress, bridesmaid dresses, hair/makeup, photographer – yay for students!). We already had the money saved (as we are paying) when we got engaged because we’d both been living in developing countries for a few years and learnt to live frugally, and that has definitely taken some of the stress out. I find it really fascinating to look at other people’s budgets normally, so for a wedding even more so!